Being 120 years old and still looking fresh. This is not the inevitable, assumptive sentence to praise one of the most glorious teams in Italian football. This is just the right tribute we owe to the success that Udinese has achieved in past and recent years after brushing against the Italian Championship in 1954-55 and after winning scudetto in 1896 and never being recognized as the actual winner. Oh, this is a noteworthy story to start with! Why was that? Udinese (once known as Società Udinese di Ginnastica e Scherma, that is to say Udinese Gymnastics and Fencing Club) took part into a triangualr tournment together with Pg Ferrara and Istituto Turrazza from Treviso in Treviso from 6 to 8 September that year. 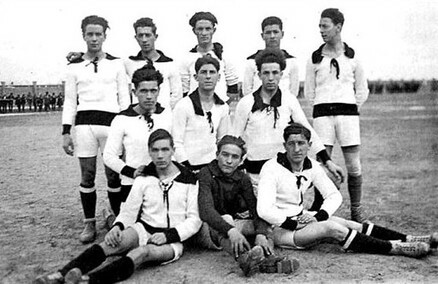 Since the tournament was not organized by Federcalcio (which was established a year after), but by the Fencing Federation, Udinese was never conceded the title. Udinese won both matches to Treviso first and then the final match to Spal who lost 2 - 0 thanks to two nets of our captain, the master Antonio Dal Dan, the pioneer of bianconero football. 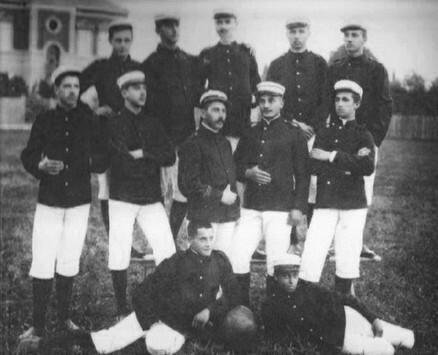 The year before, on 15 September 1895, the same lineup played a friendly match against Virtus Bologna at the local velodrome in Rome. Among the audience King Umberto was an exceptional spectator. After their success in 1896, football began to be recognized as a successful pastime both in Udine and around Friuli, although Fencing and Gymnastics remained the main, well-established sports disciplines to be practiced. 5 July 1911 is another fundamental date for Friulian Football. The gymnasts, captained by Luigi Dal Dan, Antonio's son, established the Associazione Calcio Udinese (Udinese Football Club) that was eventually enlisted into the Federazione Italiana Giuoco Calcio (Italian Football Club Federation). The very first friendly match of the new born team took place in Palmanova to celebrate one of the first audacious flights of the Friulian conveyancer, Mr. Cavalieri. Bianconeri beat Juventus 6-0. In 1912 Udinese took part into Campionato di Promozione together with Petrarca Padua and Padua and managed to beat both thus being promoted into the Italian Premier League (Serie A) and there they stayed until the beginning of the 1st World War. After war's end, to be exact on 22 April 1919, Udinese Football Club became part of Asu, Associazione Sportiva Udinese (Udine Sports Association) and the Earl Alessandro of Torso was appointed as its new president. Udinese managed end in first place during the following finals, along with Parma (seven points), before Novese. The 20s saw the extraordinary debut of Gino Bellotto, a football legend that filled in plenty of glorious pages of the history of bianconeri. Bellotto, a round and complete player, was in Udinese's lineup for no less than seventeen championships. An authentic record! Talking about present days, only Valerio Bertotto can equal the previous record, playing in Udinese for thirteen consecutive seasons. Bellotto debuted in Premier League in 1920-21. Udinese managed to remain in Premier League, Group B, and finished in the last place with 5 points. The group winner was Genoa. That was a really poor season for bianconeri: in July 1922 Udinese was finalist in the first Coppa Italia (Italian Cup). In Vado Ligure, they played against the local team and lost 1-0 at extratime being Felice Levratto the scorer. In August 1923, Udinese became deeply indebted and Associazione Sportiva Udinese began distancing from football; bianconeri club had to find a new independent executive management and set their finances. The President Alessandro del Torso paid all the debts off selling some valuable paints at an auction. Soon afterwards, a new president was appointed, that was the beer tycoon Francesco Dormisch. In 1923-24 the bianconeri were again in Second Division (the Italian Serie B) and played a discrete championship finishing the season in a creditable 4th place. The year after was a lucky one for Udinese and their lineup gained the first place ties in Group D with Vicenza and Olimpia from Fiume. It was necessary to play a run-off game to sort out the team to be promoted to First Division. The other finalists were Parma, Como and Novene. Udinese won to Vicenza and Olimpia and went to the top with Parma (both teams with seven points), before Novese, six points, and Como, four. 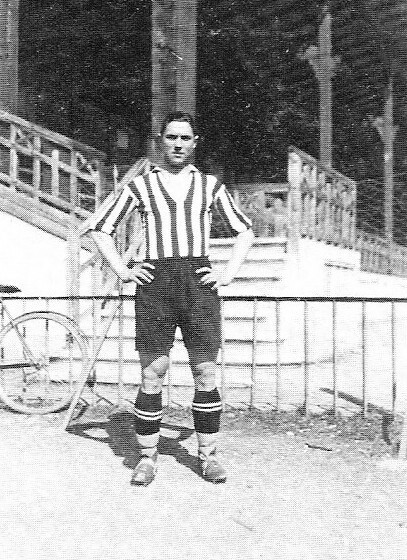 In first division - season 1925-26 - the Friulans had to face Torino whose captain was the famous Cevenini, Bologna, and then again Modena, Casale, Internazionale, Verona Hellas, Doria, Brescia, Novara, Pisa, Legnano. The bianconeri were protagonists of an extraordinary enterprise, beating Torino 4 -3 and allowing Bologna to gain the first place into their group and to partake in the final national match who saw Juventus as the winning team that year. The following year Udinese refused to take part into the qualifications and was thus relegated. So in the 1926-27 season the bianconeri were put into the Veneto Lombardo group, belonging to the new First Division (today's Serie B). The season was an authentic disaster and Udinese arrived last with only six points and the team had to be relegated again for the second consecutive year. Even so, the Federation took into consideration the worth of bianconeri, thus allowing them to stay in Serie B. 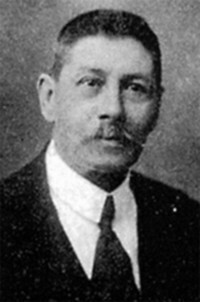 The president Achille Villoresi, once the risk was escaped, strengthened the team and the following season Udinese played a good championship (1927-28). In 1928-29 Udinese, whose president was still Villoresi, and whose coach was the Hungarian Fogl, did their best, finishing in third place with 39 points, only preceded by Forlì (41) and Monfalcone (44). This was the high profile lineup who dared a flamboyant enterprise: Cassetti, Cantarutti, Bellotto, Gerace, Bonino, Zilli, Tosolini, Vittorio, Foni, Modotti, Dorigo. Brusin, Migliorini Modonutti, Barbetti, Palmano also had the chance to play. At the end of the year the Federation abolished groups and put together 14 teams deriving from First Division's newly promoted teams and relegated teams from Premier League to form Serie B, as we know it today. Udinese was thus in Serie C.
The next year Udinese led the league with 42 punti, followed by Spal 39, and Pro Gorizia 35. here follows the lineup that year: Cassetti (Lipizer III), Bellotto, Loschi, Gerace, Bonino, Zilli (Magrini), Modotti (Frossi) Vittorio, Miconi (Modonutti), Bartezaghi, Dorigo. At the and of that season, some master players were given away: Loschi joined Triestina, Cassetti Bologna, and Miconi joined Salernitana.